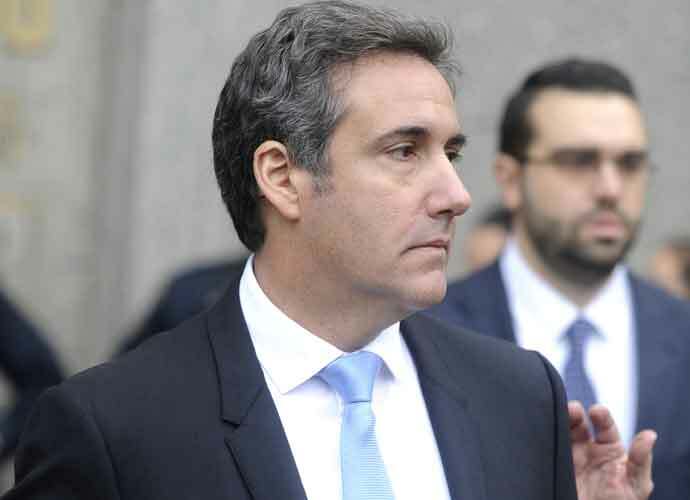 Michael Cohen, President Donald Trump‘s former personal lawyer, is expected to describe to Congress this week how Trump committed crimes while in office. Cohen arrived to Washington, D.C. on Tuesday morning to prepare for his testimony before the Senate Intelligence Committee. The former fixer showed up to Capitol Hill just as Trump was traveling to Hanoi, Vietnam to meet one-on-one with Kim Jong-Un. According to NBC, Cohen is also set to give details on the president’s financial statements. Cohen was recently granted a reprieve for his three-year jail sentence: he will report to federal prison on May 6 after pleading guilty in New York last year to several charges that include bank and tax fraud, campaign finance violations, and lying to lawmakers about his involvement in a Trump Tower real estate deal in Moscow in 2016. Cohen, who worked for Trump for more than a decade, is set to discuss — among other things — the president’s role in the Trump Tower deal in Moscow in 2016, which reportedly was negotiated up until just days before the election. Cohen will reportedly use documents to support his claims. Cohen will also explain his personal motives for lying for Trump and why he ultimately decided to flip on the president to protect himself and his family. Last week, it was reported that Trump allegedly recruited a Justice Department ally to oversee an investigation into Cohen, a move that if true could cause further legal troubles for the president, who himself is also embroiled in multiple federal probes into his personal affairs, his businesses and his 2016 campaign.